My publications on ORCID and Researchgate. 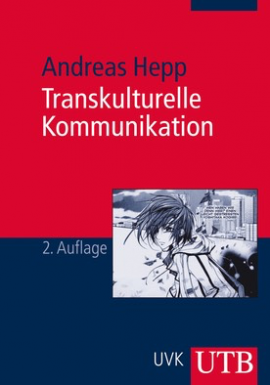 Andreas Hepp is Professor of Media and Communication Studies with the Special Areas Media Culture and Communication Theory at the ZeMKI (Centre for Media, Communication and Information Research), Universität Bremen, Germany. He graduated in 1995 from University of Trier with an MA-degree in German Studies and Political Science, focusing on media communication. In 1997, he finished there his doctoral thesis on the everyday appropriation of television. Beside the University of Trier Andreas Hepp taught and researched at the universities of Karlsruhe (TH), Ilmenau (TU), Münster and since 2004 the University of Bremen. He was visiting researcher and visiting scholar at the Nottingham Trent University and the University of Sunderland, UK. In 2012 he was visiting fellow at the Department of Media and Communications, Goldsmiths, University of London, in 2015 visting senior fellow at the at the Department of Media and Communications, London School of Economics and Political Science. 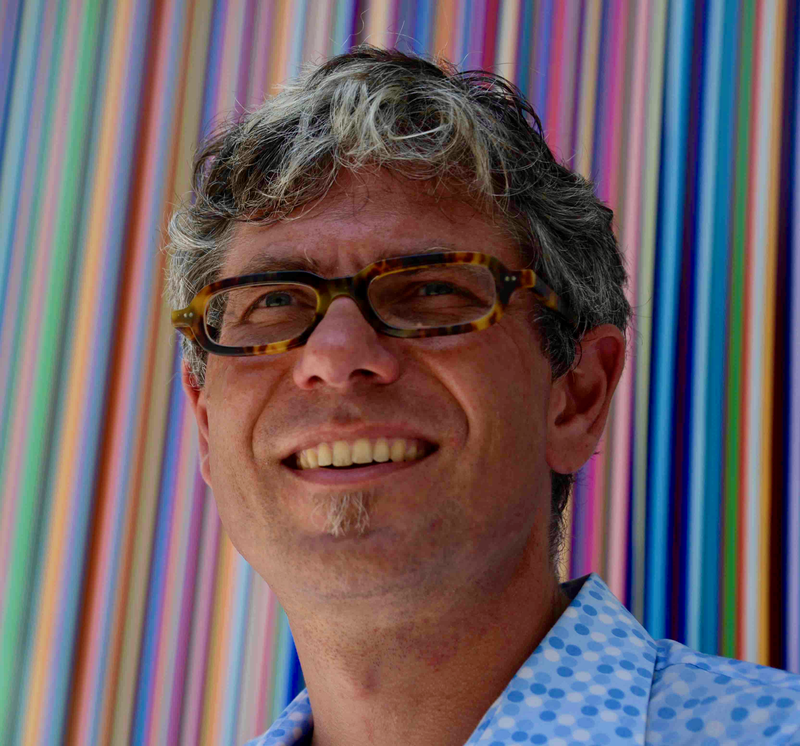 Andreas Hepp is involved the research network “Communicative Figurations” (as “Creative Unit” at the University Bremen funded by the German “excellence initiative” 2013 – 2016). He was co-applicant and PI of the DFG Priority Research Programme 1505 “Mediatized Worlds” (2012 – 2016) and member of the DFG funded Collaborative Research Centre 597 “Transformations of the State”, which ended in 2014. His main research areas are media and communication theory, media sociology, mediatization research, datafication of social practices, transnational and transcultural communication, and cross-media research. The full CV can be downloaded here. This open access volume is about how to research the influence of our changing media environment. Today, there is not one single medium that is the driving force of change. With the spreading of various technical communication media such as mobile phone and internet platforms, we are confronted with a media manifold of deep mediatization. But how can we investigate its transformative capability? 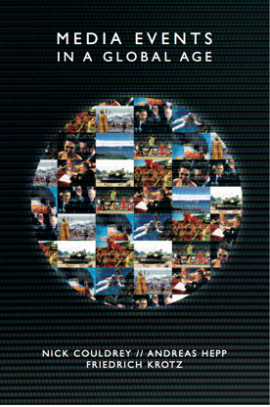 This book answers this question by taking a non-media-centric perspective, researching the various figurations of collectivities and organizations humans are involved in. The first part of the book outlines a fundamental understanding of the changing media environment of deep mediatization and its transformative capacity. The second part focuses on collectivities and movements: communities in the city, critical social movements, maker, online gaming groups and networked groups of young people. The third part moves institutions and organizations into the foreground, discussing the transformation of journalism, religion, politics, and education, whilst the fourth and final part is dedicated to methodologies and perspectives. The book can be downloaded here. Social theory needs to be radically rethought for a world of digital media and social media platforms driven by data processes. Fifty years after Berger and Luckmann published their classic text The Social Construction of Reality , two leading sociologists of media, Nick Couldry and Andreas Hepp, revisit the question of how the social world, and our sense of everyday reality, are constructed – that is, made – by human beings. Nick Couldry and Andreas Hepp ask: What difference does the deep involvement of digital media, and the data processes on which they rely, make to the type of social world we can inhabit? What difference do ‘media’ make to the types of social order that are possible? And how should we evaluate the consequences for our quality of life? Drawing on a range of theory, from Nobert Elias to Alfred Schütz and Luc Boltanski, and a wide selection of empirical studies, this book will be essential for students and scholars of media. It offers an authoritative account of how the digital world has historically emerged, and where it is now heading. For further information, please visit the web page of Polity Press. You can order the book at Amazon or Wordery. 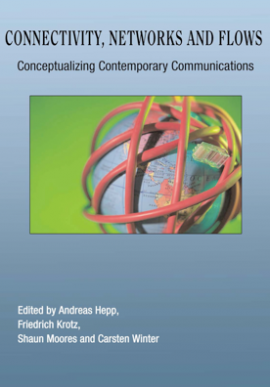 The book received the 2017 Theory Price of the German Communication Association (DGPuK). Reviews: Journalism & Mass Communication Quarterly (Meng Li), LSE Review of Books (Ignas Kalpokas), Media, Culture & Society (Göran Svensson), Publizistik (Armin Scholl), Soziopolis (Knut Lundby), Symbolic Interaction (David L. Altheide). With the Eurocrisis, the European public sphere did not collapse but remained multi-segmented in nature, its legitimacy still the subject of fierce debate. 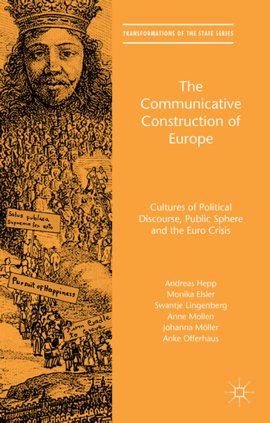 Based on a 12-year long project – comparing Austria, Denmark, France, Germany, Poland and the United Kingdom – this book empirically demonstrates the contested character of the communicative construction of Europe. It does so by combining an investigation of journalistic practices with long-term content analysis of print media, an examination of citizens‘ online interactions and audience studies with European citizens. For further information, please visit the web page of Palgrave Macmillan. Transcultural Communication provides an accessible and engaging introduction to the exciting possibilities and inevitable challenges presented by the proliferation of transcultural communication in our mediatized world. 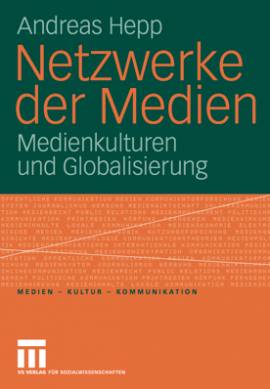 The book includes examples of mediatization and transcultural communication from a variety of cultural contexts, it covers an array of different types of media, including mass media and digital media, and it incorporates discussion of transcultural communication in media regulation, media production, media products and platforms, and media appropriation. For further information, please visit the web page of Wiley Blackwell, get the leaflet or read the first chapter (free for download). How does the media influence our everyday lives? In which ways do our social worlds change when they interact with media? And what are the consequences for theorizing media and communication? Starting with questions like these, Mediatized Worlds discusses the transformation of our lives by their increasing mediatization. 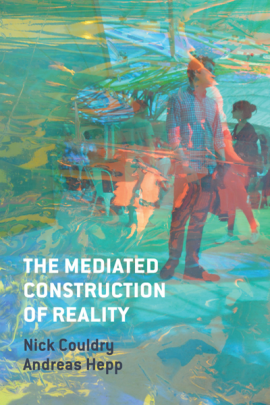 The chapters cover topics such as rethinking mediatization, mediatized communities, the mediatization of private lives and of organizational contexts, and the future perspective for mediatization research. The empirical studies offer new access to questions of mediatization – an access that grounds mediatization in life-world and social-world perspectives. For further information, please visit the web page of Palgrave Macmillan. What does it mean that we can be reached on our mobile phones wherever we are and at all times? What are the cultural consequences if we are informed about ‘everything and anything important’ via television? How are our political, religious and ethnic belongings impacted through being increasingly connected by digital media? And what is the significance of all this for our everyday lives? 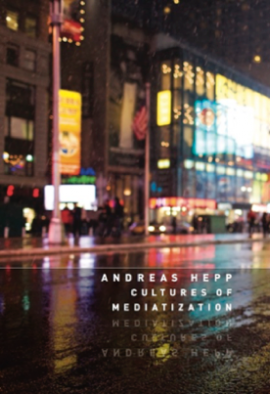 Drawing on Hepp’s fifteen-year research expertise on media change, ‘Cultures of mediatization’ offers a new way of thinking about our present day media-saturated world. For further information, please visit the web page of Polity Press. We live in an age where the media is intensely global and profoundly changed by digitalization. Not only do many media events have audiences who access them online, but additionally digital media flows are generating new ways in which media events can emerge. In times of increasingly differentiated media technologies and fragmented media landscapes, the ‘eventization’ of the media is increasingly important for the marketing and everyday appreciation of popular media texts. The events covered include Celebrity Big Brother, 9/11, the Iraq war and World Youth Day 2005 to give readers an understanding of the major debates in this increasingly high-profile area of media and cultural research. For further information visit the web page of Routledge. This book offers its readers a critical engagement with three key concepts for social and communication theory today – connectivity, networks and flows. The book combines theoretical reflection with analysis of specific media and cultural practices. Featured examples of such practices include uses of mobile phones and the Internet, activities of online (and offline) working and socializing, and constructions of liveness and immediacy in electronically mediated communication. The book will be of particular interest to researchers and students in communications, media and cultural studies, sociology and social theory. For further information, please visit the web page of Hampton Press. Cep telefonlarımız sayesinde her zaman ve her yerde ulaşılabiliyor olmamız ne anlama geliyor? Önemli olayları televizyon ya da internetten öğreniyor olmamızın kültürel sonuçları nelerdir? Siyasi, dini ve etnik aidiyetlerimiz, dijital medyaya giderek daha fazla bağımlı hale gelmemizden nasıl etkilenmektedir? Bütün bunların gündelik hayatlarımız açısından içerimleri nelerdir? Andreas Hepp’in medyanın dönüşümü ve bu dönüşümün insanlığın yaşamında yarattığı etkiler üzerine gerçekleştirdiği on beş yıllık kapsamlı çalışmanın bir ürünü olan Medyatikleşen Kültürler, bu ve bunun gibi sorular ekseninde kolay anlaşılır bir muhasebeye girişiyor. Hepp’in eseri, gündelik hayatımızın hemen her alanında ilişki halinde olduğumuz medya teknolojilerinin nasıl bir kültürel dönüşüme yol açtığına ilişkin yaratıcı ve kışkırtıcı bir tartışma sunuyor. 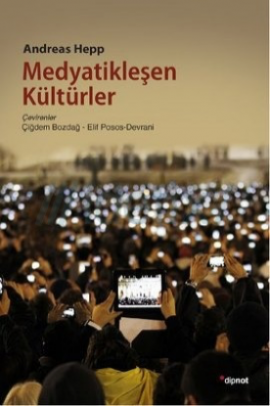 This book is the Turkish translation of “Cultures of Mediatization”, for more information please visit the web page of the publishing house. 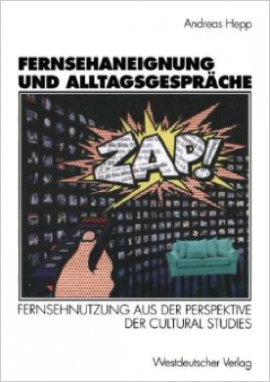 Das Handbuch bietet in zahlreichen Beiträgen einen Überblick über zentrale Themenfelder und Begriffe des medienanalytischen Ansatzes der Cultural Studies. Im Fokus stehen die Aspekte, die sich auf Medien, ihre Produktion, Diskurse und Aneignung beziehen. Der Band strukturiert sich in acht übergreifende Themenfelder; jedes wird von einem Überblicksartikel eröffnet, der das jeweilige Feld samt seiner Kernbegriffe absteckt und dabei grundlegende Positionen der klassischen Kommunikations- und Medienwissenschaft kritisch reflektiert. Weitere, kürzere Artikel stellen die Kernbegriffe im Hinblick auf den jeweiligen Bezug zum Themenfeld sowie zum medienanalytischen Ansatz der Cultural Studies vor.​ Weitere Informationen sind auf der Webseite des VS Verlags zu finden. Intensiv wird über die „Generation Internet“ diskutiert. Junge Menschen gelten als mit digitalen Medien breit vernetzt und durch Mobiltelefone immer erreichbar. Sie nutzen daneben ebenso umfassend (Internet-)Fernsehen und digitale Musik. Wenn sie politisch aktiv werden, so organisieren sie dies online. Vergemeinschaftung ist für junge Erwachsene – so die These – insbesondere Gemeinschaftsbildung in und durch Medien. Aber stimmt dieses Bild wirklich? Sind junge Menschen, wenn es um ihre kommunikative Vernetzung geht, tatsächlich auf eine solche Weise orientiert? Diesen Fragen geht das Buch auf Basis einer zweijährigen Forschung mit Jugendlichen und jungen Erwachsenen zwischen 16 und 30 Jahren nach.​ Weitere Informationen sind auf der Webseite des VS Verlags zu finden. Medienkommunikation wurde in den letzten Jahren immer kulturübergreifender: Nachrichtensender wie CNN, Al-Jazeera oder Blogs informieren uns über politische Geschehnisse in verschiedenen Ecken der Welt. Ob Katastrophen, Olympiaden oder Kriege – wir sind eingebunden in globale Medienereignisse, an denen wir uns mit Twitter und Facebook beteiligen. Und die Geschichten, die wir aus Filmen und Youtube kennen, werden auch kulturübergreifend kommuniziert. In die Analyse dieser Phänomene führt das vorliegende Buch ein. Thematisiert werden Konzepte der transkulturellen Medienforschung, Möglichkeiten und Grenzen von globaler Medienpolitik, transkulturell orientierte Medienproduktion und deren Aneignung. Hierbei fokussiert das Buch medienübergreifend Fernsehen, Internet und Film. Ein umfassendes und kritisches Verständnis transkultureller Kommunikation wird so entwickelt. Wichtig erscheinen dabei nicht nur Nationalkulturen, sondern auch andere kulturelle Verdichtungen wie Populärkulturen, religiöse Gemeinschaften, soziale Bewegungen oder Diasporas. Weitere Informationen finden sich auf der Webseite des Verlags. Was heißt es für unsere Kultur, wenn wir durch Mobiltelefone überall erreichbar sind? Was bedeutet es kulturell, wenn alles Wichtige im Fernsehen verhandelt wird? Wie ändern sich unsere Vergemeinschaftungen, wenn wir zunehmend über das Social Web vernetzt sind? Welche Folgen hat all das für den Wandel unserer Kultur, Alltagswelt und Gesellschaft? Fragen wie diese kumulieren in dem Begriff der „Mediatisierung“, der zu einem Schlüsselkonzept der internationalen Diskussion um Medien geworden ist. Das Buch führt in diese Diskussion anhand vieler Beispiele ein. Dabei wird deutlich, dass Medienkulturen mediatisierte Kulturen sind. Um diese zu erfassen, genügt der Blick auf ein Einzelmedium wie das Fernsehen, das Mobiltelefon, die Zeitung oder das Internet nicht. Man muss die mediale Durchdringung von Kultur, ihre kommunikativen Figurationen insgesamt im Blick haben. Die zweite, überarbeitete Auflage wurde durch weitere Literaturbezüge und ein Vorwort zur Einführung in die Mediatisierungsdiskussion erweitert. Weitere Informationen finden sich auf der Webseite des Verlags. Einerseits ist die politische Berichterstattung in Europa durch einen gemeinsamen Blick auf die EU gekennzeichnet. In dem Sinne besteht eine europäische Öffentlichkeit. Andererseits bleibt eine solche Berichterstattung mehrfach segmentiert – nicht nur im Hinblick auf Länder, sondern auch im Hinblick auf die Art der Medien, in denen die Berichterstattung erfolgt. Wie ist diese Mehrfachsegmentierung zu erklären? Die Antwort, die in diesem Buch von Andreas Hepp, Michael Brüggemann, Katharine Kleinen-von Königslöw, Swantje Lingenberg und Johanna Möller auf Basis von Redaktionsstudien in sechs europäischen Ländern gegeben wird, lautet: durch unterschiedliche politische Diskurskulturen. Weitere Informationen zu dem Buch finden sich auf der Webseite des Verlags. Medien und Migration ist ein aktuell heiß diskutiertes Thema. Doch wie wichtig sind Medien für Migrantinnen und Migranten wirklich? Was hat sich mit der Etablierung von Internet, Mobiltelefon und Social Web geändert? 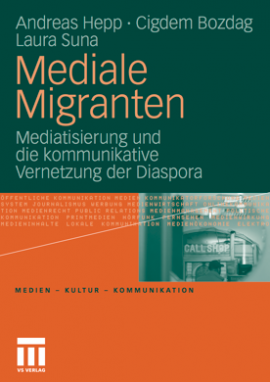 Welchen Stellenwert haben Medien für die Vergemeinschaftung der Diasporas? Es sind Fragen wie diese, die in der Studie ‚Mediale Migranten‘ behandelt werden. Durch eine vielschichtige Analyse wird gezeigt, dass über die verschiedenen Medien hinweg die kommunikative Vernetzung von Migrantinnen und Migranten sehr unterschiedlich verläuft, je nachdem, ob sie eher herkunfts-, ethno- oder weltorientiert sind. Auf diese Weise verdeutlicht die Untersuchung, dass man ‚Integration durch Medien‘ anders denken muss, als dies bisher geschehen ist. Weitere Informationen finden sich auf der Webseite des Verlags, die Einleitung in das Buch kann als Leseprobe geladen werden. Religion und Religiosität sind in den letzten Jahren in Medien und Alltag wieder Thema geworden: Nicht nur, dass in den Medien von einer ,neuen Religiosität‘ berichtet wird. Ebenso ist individualisierte Religion im Alltag von Jugendlichen und jungen Erwachsenen wieder sichtbarer geworden und durch medienvermittelte Inhalte und deren Aneignung geprägt. Doch in welcher Beziehung stehen der aktuelle Religionswandel und die Medien? Wie konkretisiert sich in der Alltagswelt gelebte, medienvermittelte Religiosität? Und wie gehen traditionelle Kirchen damit um? Der Band behandelt diese Fragen exemplarisch anhand des katholischen Weltjugendtags 2005 als Medienereignis in Deutschland und Italien. Weitere Informationen finden sich auf der Webseite des Verlags. Köln im August 2005. Die rheinische Metropole befindet sich im Ausnahmezustand. Es ist Weltjugendtag und der Papst ist in der Stadt. Doch nicht nur Köln und das Rheinland sind außer Rand und Band. Ganz Deutschland befindet sich in einer Art von ‚religiösem Taumel‘. 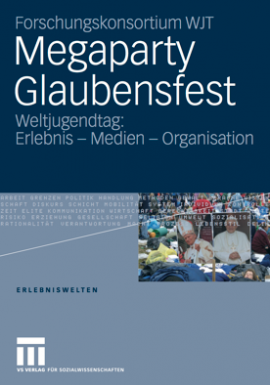 Angestachelt durch eine flächendeckende Medienberichterstattung scheint es kein anderes Thema mehr zu geben als den Besuch des Papstes und das Glaubensfest der katholischen Jugend. Selten zuvor wurde in Deutschland das Katholischsein so enthusiastisch und so ausgelassen gefeiert. Dem ‚Geheimnis‘ dieses besonderen Ereignisses auf die Spur zu kommen, ist Absicht und Ziel dieses Buches. Weitere Informationen finden sich auf der Webseite des Verlags. Seit einigen Jahrzehnten lässt sich ein zunehmender Prozess der Globalisierung von Medienkommunikation ausmachen. Durch das Satellitenfernsehen, die Netzkommunikation, aber auch die weltweite Distribution von Kinofilmen haben globale Kommunikationsflüsse erheblich zugenommen. Damit einher geht ein Prozess der Veränderung von Medienkulturen. Dieser gegenwärtige Wandel von Medienkulturen wird in der Medien- und Kommunikationswissenschaft kaum angemessen erfasst, nicht zuletzt, weil deren Ansätze zu stark durch ‚territoriales Denken‘ geprägt sind. In „Netzwerke der Medien“ wird auf Basis der Kritik bisheriger Forschungen ein Neuansatz der Beschreibung von Medienkulturen in Zeiten der Globalisierung entworfen. Weitere Informationen finden sich auf der Webseite des Verlags. Die Einzigartigkeit des Fernsehens besteht in seiner Vielgestaltigkeit: Für eine große Zahl von Menschen hat es eine Fülle von Bedeutungen und bereitet Anlass für die verschiedensten Formen des Vergnügens. Die Kernthese dieses Buches ist, dass sich Zuschauer und Zuschauerinnen Fernsehen auf unterschiedliche Weise aneignen. Andreas Hepp beschreibt das Fernsehen als festen Bestandteil der Alltagskultur und arbeitet dabei heraus, durch welche kommunikativen Prozesse es von den Zuschauern und Zuschauerinnen in ihre Alltagswelt integriert wird. Basierend auf den Methoden der Cultural Studies und Konversationsanalyse zeigt der Autor, dass es das alltägliche Sprechen über Fernsehen ist, das die Grundlage für einen produktiven Umgang mit dem Medium bildet. Das Buch ist vergriffen, kann aber als Datei hier geladen werden. A full list of publications can be downloaded here or at ReserachGate. A. Hepp (2016): Pioneer communities: Collective actors of deep mediatisation. In: Media, Culture & Society, 38 (6), pp. 918-933. 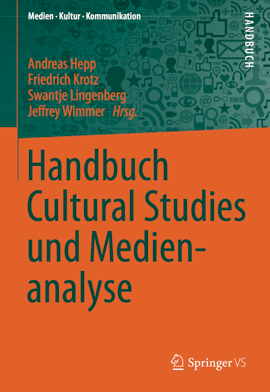 A. Hepp, S. Hjarvard, K. Lundby (2015): Mediatization: Theorizing the Interplay between Media, Culture and Society. In: Media, Culture & Society, 37 (2), online first. A. Hepp, P. Lunt, M. Hartmann (2015): Communicative figurations of the good life: Ambivalences surrounding the mediatization of homelessness and the transnational family. In: Wang, Hua (ed. ): Communication and „The Good Life.“. Berlin, New York: Peter Lang, 181-196. A. Hepp (2014): Communicative figurations. Researching cultures of mediatization. In: Kramp, L. et al. (ed. ): Media practice and everyday agency in Europe. Bremen: Edition Lumiere, pp. 83-99. A. Hepp, Andreas (2014): As configurações comunicativas de mundos midiatizados: pesquisa da midiatização na era da “mediação de tudo”. In: MATRIZes, 8 (1), pp. 45-64. 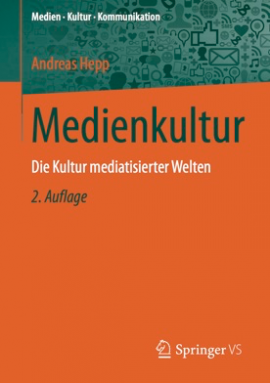 A. Hepp (2014): Mediatisierung | Medialisierung. Schröter, Jens (2014): Handbuch Medienwissenschaft. Stuttgart, Weimar: Metzler Verlag, S.191-196. A. Hepp, U. Hasebrink (2014): Human interaction and communicative figurations: The transformation of mediatized cultures and societies. In: Lundby, K. (ed. ): Mediatization of communication. Berlin, New York: de Gruyter, pp. 249-272. 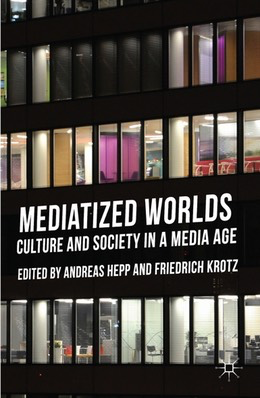 A. Hepp, F. Krotz (2014): Mediatized worlds: Understanding everyday mediatization. In: A. Hepp, F. Krotz (eds. ): Mediatized worlds: Culture and society in a media age. London: Palgrave, pp. 1-15. A. Offerhaus, A. Mollen, A. Hepp (2014): “Europe is already all around, but no one notices”– the Europeanization of public spheres in regional newspaper reporting. In: Transstate Working Papers 183. A. Hepp (2013): The communicative figurations of mediatized worlds: Mediatization research in times of the ‘mediation of everything’. In: European Journal of Communication, 28 (6), pp. 615-629, doi:10.1177/0267323113501148. 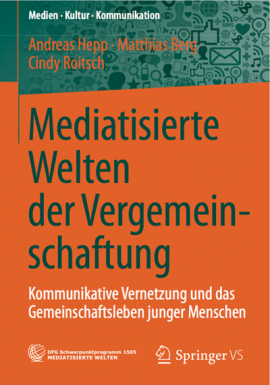 A. Hepp, M. Berg, C. Roitsch (2011): Monothematische und multi-thematische mediatisierte Vergemeinschaftungshorizonte: Grundmuster kommunikativer Vernetzung und medienvermittelter Vergemeinschaftung. In: Studies in Communication and Media, 1 (2), S. 295-332. A. Hepp, C. Bozdag, L. Suna (2010): Herkunfts-, Ethno- und Weltorientierte: Aneignungstypen der kulturellen Identität und kommunikativen Vernetzung in der Diaspora. In: Medien & Kommunikationswissenschaft 58 (3), S. 320-342. A. Hepp (2010): Researching ‘mediatized worlds’: Non-media-centric media and communication research as a challenge. In: N. Carpentier, I. T. Trivundza, P. Pruulmann-Vengerfeldt, B. Cammaerts, R. Kilborn, H. Nieminen, T. Olsson und E. Sundin (Hrsg. ): Media and Communication Studies Intersections and Interventions. Tartu: University of Tartu Press, pp. 37-48. A. Hepp (2009): Differentiation: Mediatization and cultural change. In: Lundby, K. (ed. ): Mediatization: Concept, changes, consequences. New York: Peter Lang, pp. 135-154. 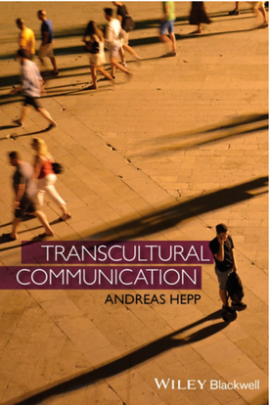 A. Hepp (2009) [englisch version]: Transculturality as a Perspective: Researching Media Cultures Comparatively. In: FQS Volume 10, No. 1, Art. 26 – January 2009. 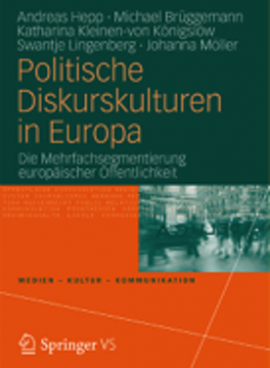 A. Hepp & H. Wessler (2009): Politische Diskurskulturen: Überlegungen zur empirischen Erklärung segmentierter europäischer Öffentlichkeit. 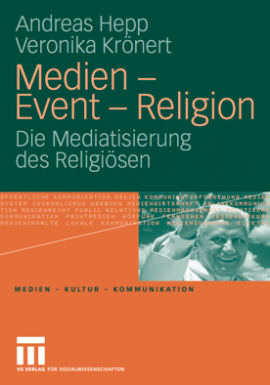 In: Medien & Kommunikationswissenschaft, 57 (2), S. 174-197. A. Hepp (2005): Kommunikative Aneignung. In: Mikos, Lothar/Wegener, Claudia (Hrsg. ): Qualitative Medienforschung. Ein Handbuch. Konstanz: UVK (UTB), S. 67-79. A. Hepp (1998): Fernsehaneignung und Alltagsgespräche. Fernsehnutzung aus der Perspektive der Cultural Studies. Wiesbaden: Westdeutscher Verlag. Every day, we experience that the transformation of culture and society is related to the change of media communication and related processes of datafication: Being constantly available by mobile phone, we live differently; relationships are organized in new ways through our use of the internet and related digital traces; entire social fields are changing as, for instance, education is being shaped by datafication or religion negotiated through media. Recent research has shown that it is not simply the impact of individual media contents which changes the world. Mediatization research demonstrates that the growing establishment of technical communication media and their infrastructures as a whole and the resulting change of the ‘manufacture’ of our reality are core moments of this transformation. In a serious approach, the challenges of media change can only be grasped if its cross-media interrelations – its ‘communicative figurations’ – are examined. Referring to these fundamental reflections, the aim of the network at the Universities of Bremen and Hamburg is to support research on the re-figuration of different social domains in times of deep mediatization. Today’s mediatized worlds offer various opportunities to experience media and the corresponding construction of communities. After analyzing the ‘mediatized horizons of communitization’ among younger (16-30 years) and elderly people (retirees above 60 years) in the previous funding periods, the project focus is now extended to the middle-agers between 31 and 59 years. First, the study analyzes the everyday communicative networking practices of middle-aged people, regarding how their ‘mediatized horizons of communitization’ are changing related to the appropriation of (digital) media. Second, the study examines the challenges middle-agers are facing in the context of their mediatized community building, e.g. their communicative demarcation, their communicative mobility and their communicative participation. Methodically, the project applies a qualitative network analysis, integrating interviews, open network drawings and media diaries. Our sample contains 160 cases and consists of younger (16 – 30 years), elderly (retired and older than 60 years) as well as middle-aged (31 – 59 years) people. The project aims at clarifying the role of media for the construction of mediatized horizons of community building (the total of communities a person feels they belong to) in a cross-generational perspective. The economic crisis of regional newspapers continues as local news apps have yet failed to establish themselves. This crisis is illustrated by a mobile lifestyle, social relationships that are vastly independent of location and the very different ways in which media are used in the digital era. In ‘co-creation’, i. e. together with potential users, this project will develop an innovative mobile news and information app for young people in the city and its surrounding area. The project combines empirical communication and media research with co-creative software development. Both are intended to counteract an emerging loss of relevance of the city and region with the experimental app. The experimental app is to be developed for the state of Bremen and two neighboring rural districts (Diepholz and Osterholz). The app should be as intuitive to use as the dating app ‘Tinder’, i. e. present news content for ‘reading’ or ‘wiping away’ and be ‘self-learning’ with regard to the interests of the users. The past decade has seen the rise of collectivities that act as hybrids of social movements and think tanks and strive to shape the intertwined change of media, culture and society: pioneer communities. Based on particular forms of collectivity, they build a bridge between media development and the everyday use of media and promote technological changes. Distinctive present examples are the Maker and Quantified Self movements. The aim of the project is to conduct a comparative investigation of how the changing media environment enables these two pioneer communities in Germany and the UK, and how at the same time the change of the media environment is advanced by them, their imagined and practiced concepts of media-related collectivity and societal transformation, and the public discourse surrounding them. As a further context of this, the origins of the pioneer communities in the US San Francisco Bay Area and important events in Europe (i.e. Amsterdam) are investigated.